SV03 Berserkers (4) Hearthguard 1 pt. 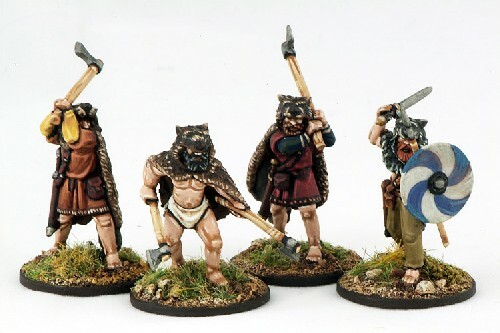 4 Berserkers with appropriate weapons. Contains a Renedra plastic base for each figure.